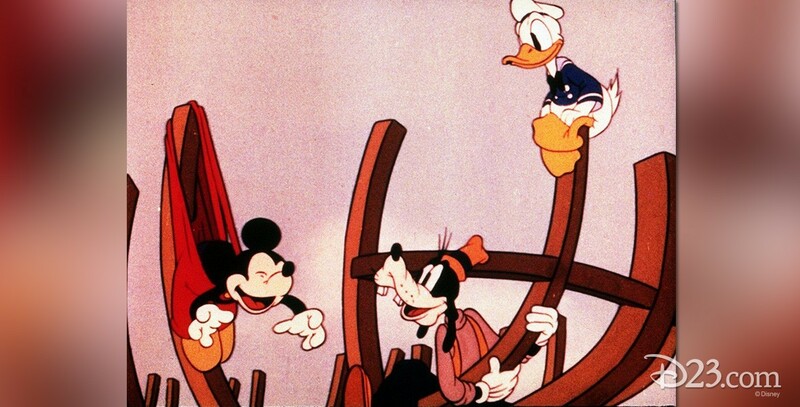 Boat Builders (film) Mickey Mouse cartoon; released on February 25, 1938. Directed by Ben Sharpsteen. Mickey, Donald, and Goofy purchase a folding boat kit, but the boat is not as easy to put together as they hoped. After much trouble, Minnie christens the boat; it is launched and promptly collapses, throwing them all into the water.